In the above photo you can see a crane supporting a red hose that’s used for pouring the concrete from the cement mixer. It’s a fabulous solution to the problem of moving very heavy materials smoothly and quickly. The only drawback is the cost. In Bali there are most likely a few pump trucks that are used for large office and hotel construction. But in general it is prohibitively expensive. 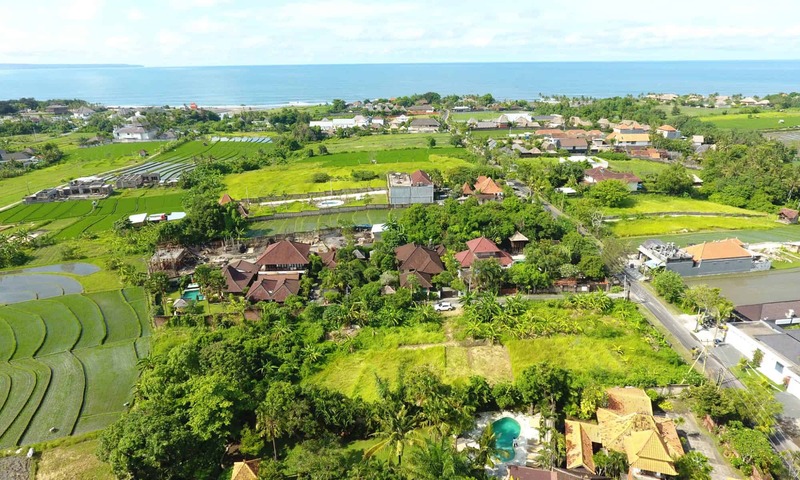 Instead, the Balinese use an amazing combination of human and machine power to accomplish the same goal: pour an entire concrete floor in one day so that the floor hardens properly. The above concrete lifter is connected to a large lawnmower-sized engine. A temporary chute made of wood and corrugated aluminum serves the same purpose as an expensive first-world, crane-powered hose. Women move buckets of rock, sand and cement to the portable cement mixer. Yes, women, who may have worked the rice fields, move the materials to the mixer. Initially the chute runs to the far end of the wooden framed, re-bar beamed, wire meshed, and bamboo-supported floor. As concrete is filled in and raked into place by the men, the wooden and aluminum chute is slowly dismantled. Above you can see a zigzag pattern for the aluminum chute as the wooden frame gets smaller and the team moves across the floor. Typically the workers are from a single Balinese village, similar to construction crews that live on site. In this case it is a roaming crew of workers, moving from one concrete-pouring job to the next. The crew works quickly, takes regular but short breaks, doesn’t complain, and gets the job done at an affordable price.